If you have a damaged concrete surface in Austin, it’s extremely important that you make repairs – such as crack filling – as quickly as possible. Concrete is different than asphalt. Unlike asphalt, concrete is made of cement, water and aggregate (typically crushed rocks and sand). This means that concrete is particularly susceptible to damage from weather and fluids. The sad fact is that even the best quality concrete can still form cracks after a certain amount of time passes, and that’s especially true if the concrete is left unsealed. Once a paved surface begins to crack, the damage can get worse in no time at all. That’s why is very important to call a trusted Austin contractor to repair the cracks immediately. At Bennett Paving Inc., we know how urgent it is to repair damaged concrete right away. If it’s left unrepaired, what might have been a relatively small repair job could easily and quickly turn into a major expense. Keep in mind that cracks in concrete around Austin TX could be signs of a larger problem that may require more than just crack filling. Our trained professionals can make that determination for you and suggest the repair procedure that’s best for your situation. While it’s true that almost all concrete will eventually crack over time, there is one way to help prevent cracks from forming. If you apply a seal coating to your concrete surface on a regular basis, it will help protect the surface from damage due to weather, irrigation water and vehicle fluids. This may help to delay damage to the concrete. Bennett Paving experts can recommend a regular maintenance schedule for your paved surfaces to help them looking new for as long as possible. When choosing a contractor to handle your concrete repair project, it’s vital that you go with an experienced professional. Before making your decision, ask the contractor how long the company has been in business and what kind of projects they’ve handled before in the Austin area. At Bennett Paving Inc., we’re proud of the many, many years of combined experience our talented team of paving specialists offer to our satisfied customers. We promise you that the work we do will always be done with the finest materials available and with the highest quality possible. Experience isn’t all that counts when it comes to concrete repair. It’s important to choose a local contractor as well. Not only will you be supporting local Austin business and helping the economy, but a local paving contractor will understand the weather conditions in your area that can have a great impact on your concrete surfaces. At Bennett Paving, we’re proud to live and work in and around Austin and surrounding communities and to serve many satisfied customers throughout our great area. 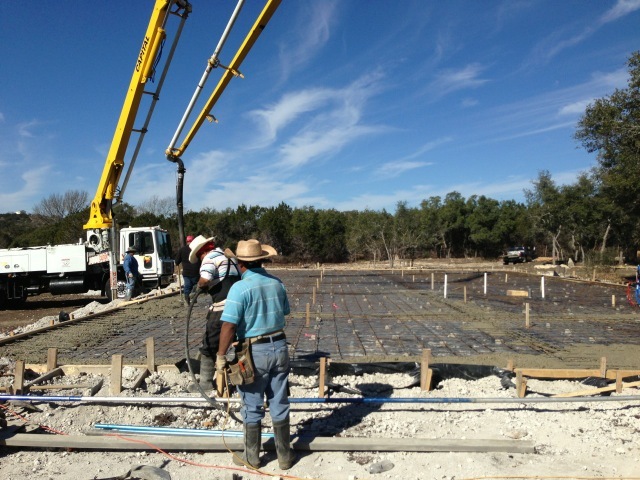 Call us today for a free estimate on all your concrete crack filling Austin projects.